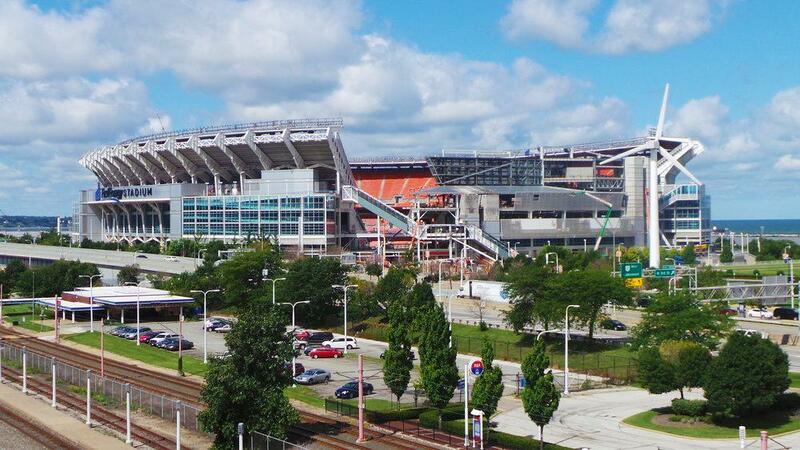 FirstEnergy Stadium (Cleveland Browns stadium) DOES NOT provide a dedicated nursing room, mothers lounge, or nursing pod for breastfeeding and breastpumping mothers attending games and events. Your options are to breastfeed openly which state of Ohio legally allows and protects, ask guest services for help finding a private space to nurse, or try the first aid station. Located in all general seating areas. Please see a law enforcement officer, usher or event staff for assistance. If you have questions or need assistance while you are in the Stadium, the Main Guest Services Booth is located near Section 102. There also are Guest Service Booths near Sections 305, 312, 329, 338, 342, 533 and 509 and kiosks at each of the main gates.